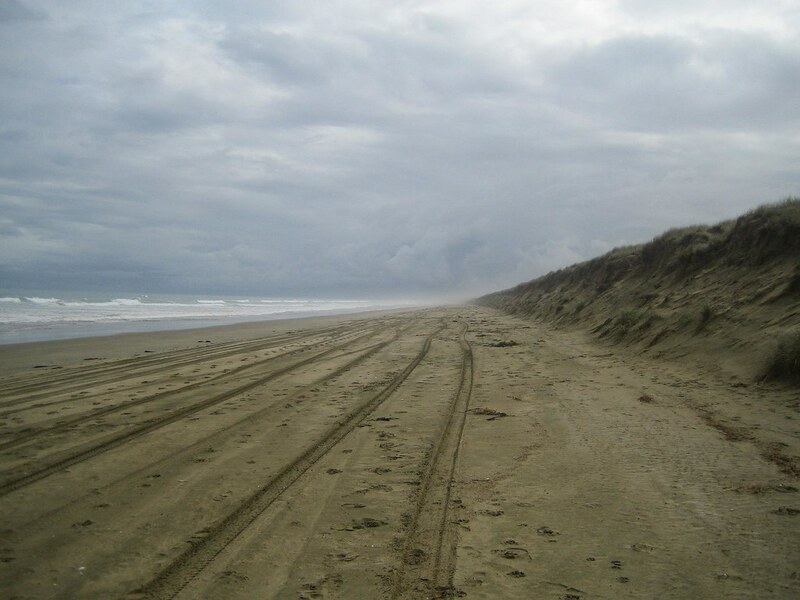 90 mile beach is located on the western coast of the far North Island of New Zealand, 90 Mile Beach is in fact not 90 miles long, it is actually 55 miles (88 Kilometers) long. 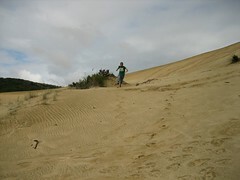 The name came from the average distance a horse could travel in a day (30 miles), in the olden days the beach took 3 days to travel, thus earning the name ninety mile beach, what the missionaries forgot to account for was the slower pace of the horses walking in the sand, thinking they had travelled 90 miles when in fact they had only travelled 55. 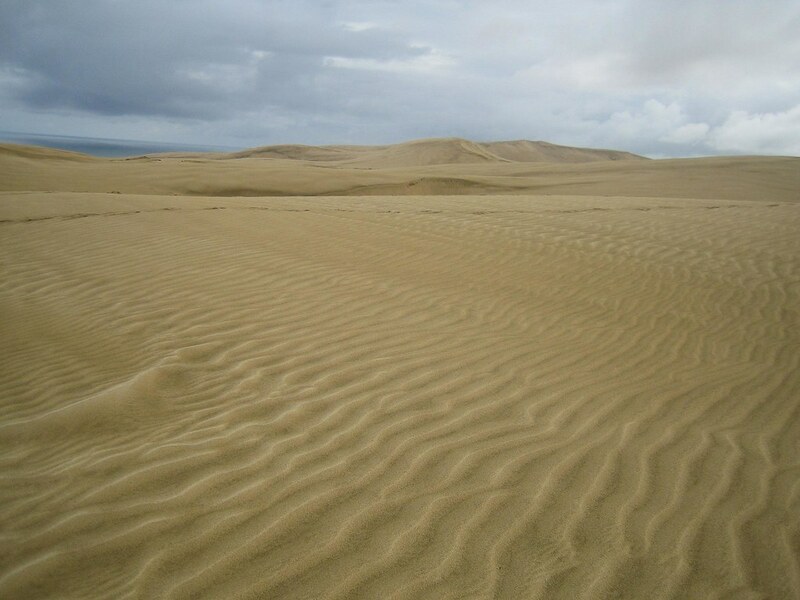 In 1932, Ninety Mile Beach was used as the runway for airmail services between Australia and New Zealand and is still used as an alternative road to State Highway 1, unfortunately we had a hire car and not being covered on the beach had to settle for a stroll along it. 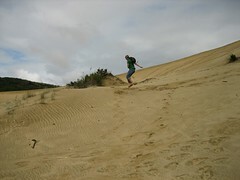 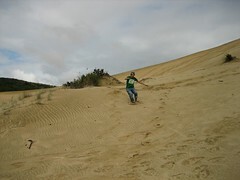 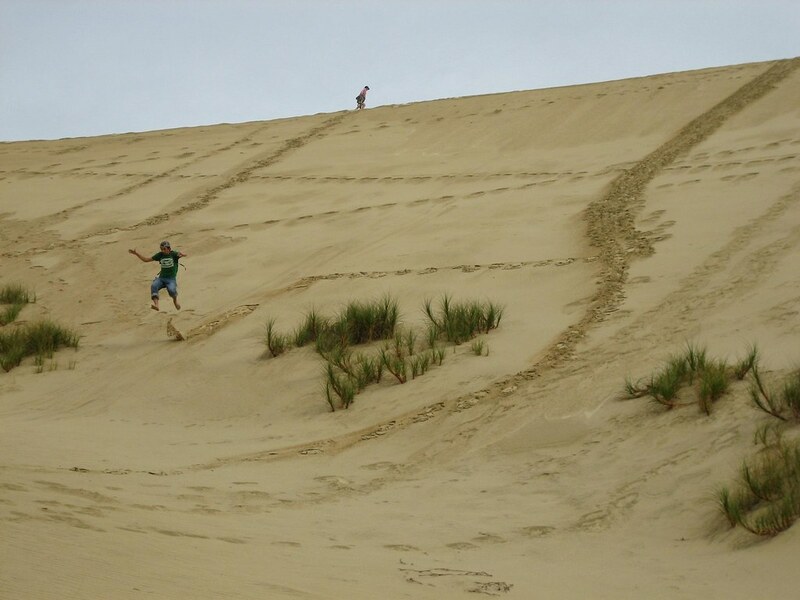 90 mile beach and the giant sand dunes nearby are a popular tourist destination for sand boarding and sledging, they are are well worth a stop though running up and down them was pretty exhausting.